Spicer® D-Series Steer Axles D-1001, D-1251L, D-1321L and D-1461 are designed for applications with a gross axle weight rating (GAWR) from 10,000 to 14,600 pounds. 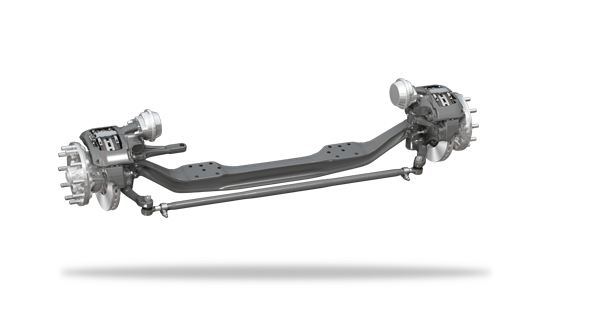 These steer axles offer a 76-pound weight reduction when compared to the existing solution. Models D-1001, D-1251L, D-1321L and D-1461 feature an integrated air disc brake (IADB) knuckle to improve braking and reduce maintenance for IADB applications. The Spicer D-Series steer axles are available in both standard and wide beam widths, delivering optimal performance on medium-duty linehaul trucks.